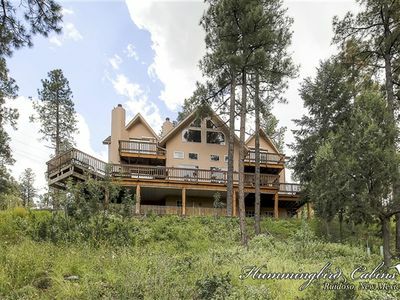 'Lacy's Log Cabin' 3BR Alto Home w/Mountain Views! 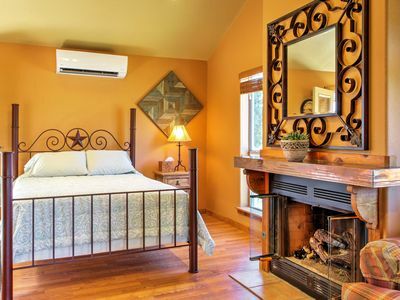 Alto, New Mexico is a charming village outside Ruidoso. 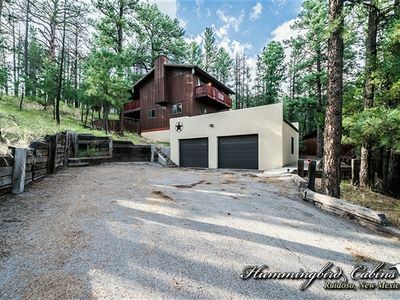 While it is small, its incredible location and gorgeous mountain views are quickly making it a favorite destination for all types of travelers! 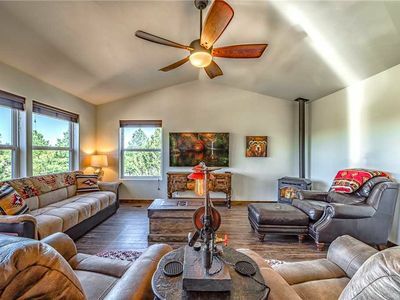 If you haven't discovered this New Mexico gem yet, it's about time...and what better place to do it than in this rustic 3-bedroom, 2-bathroom home? 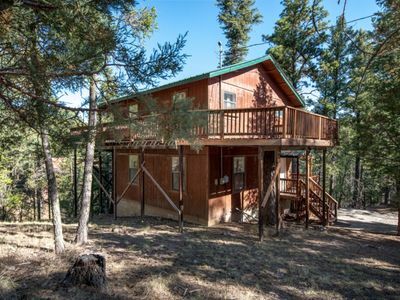 With enough room to sleep 6 guests, this peaceful property is perfect for families and groups of friends traveling New Mexico together! 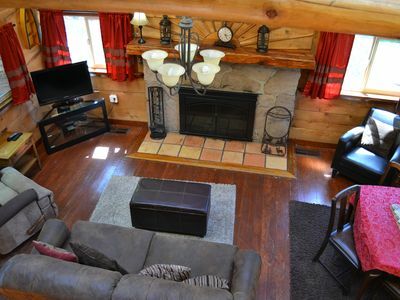 This 3-bedroom, 2-bathroom Alto cabin is perfect for families or friends traveling together. 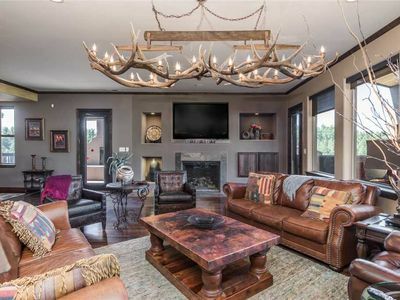 The interior decorations were chosen to depict the ultimate rustic-yet-luxurious getaway, and you'll know exactly what we mean once you walk in the front door. 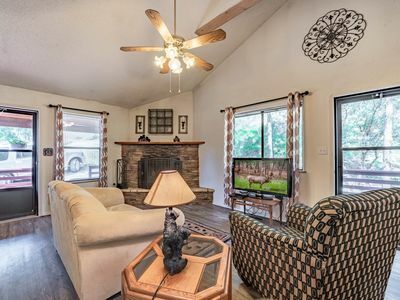 You're greeted by a large stone fireplace inside the spacious living room, which is perfect for roasting marshmallows with the family after the sun goes down. 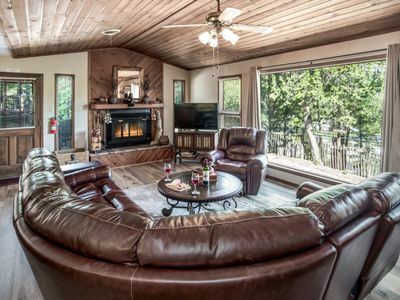 The upstairs loft has a pool table, and there's high-speed internet and TVs throughout the house, so you'll never be bored! 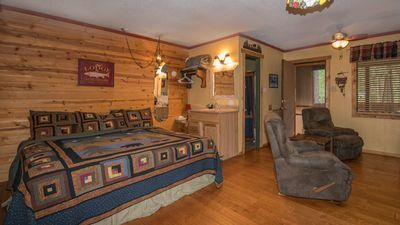 Gaze at the mountains off the outdoor porch, and relax in the master bedroom's Jacuzzi after a long day on the slopes skiing or hiking. 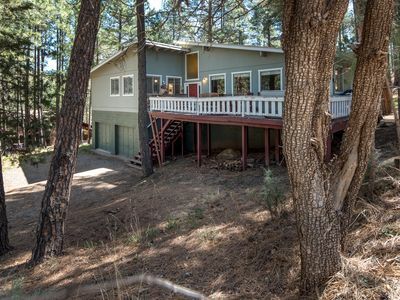 The location of this cabin could not be more perfect – It's just a short drive away from Ruidoso Downs Track, Inn of the Mountain Gods, and the town of Ruidoso itself. 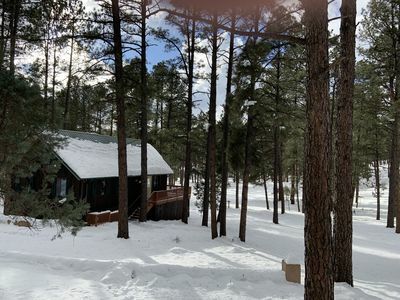 You'll have access to world-class skiing, hiking, fishing, golf, and more! 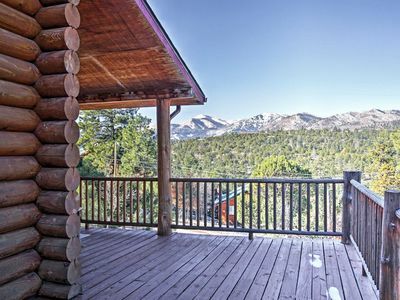 You can try your luck at one of the three local casinos, ride horses through gorgeous landscapes, or just wander through Ruidoso itself, taking in all its rich history. 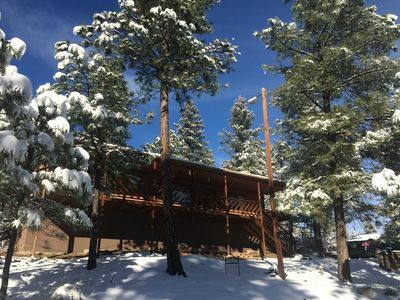 Festivals such as the Ruidoso Art Festival, Festival of Lights, Golden Aspen Motorcycle Rally and Mountain of Blues Festival take place throughout the year, so there's always something exciting happening! No matter how you choose to spend your vacation, whether it be exploring nature or simply relaxing in your cabin, Alto is sure to please. 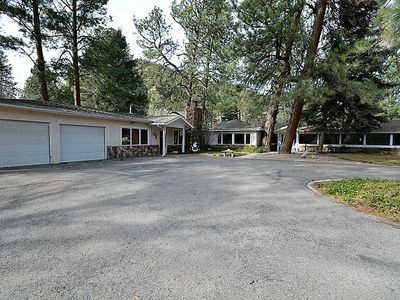 - Great location - Minutes away from numerous activities and tourist hot spots, and amazing mountain views! 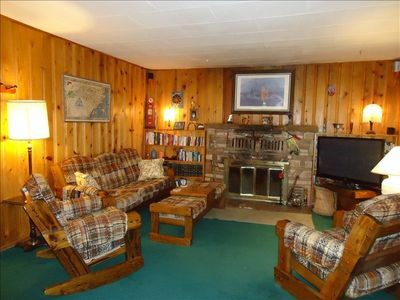 Two Bedroom Cabin Used To Belong to Deborah Winger! 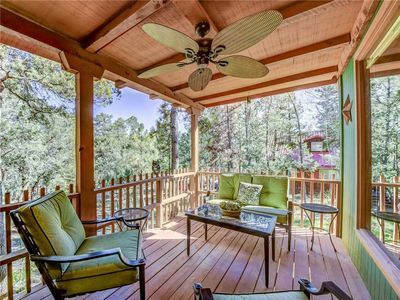 Sunset Cabin: 'Secret private master deck a must see!' 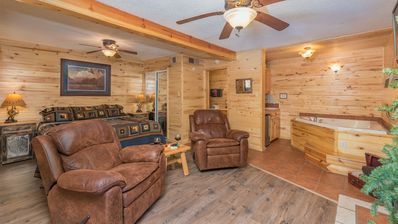 With hot tub. 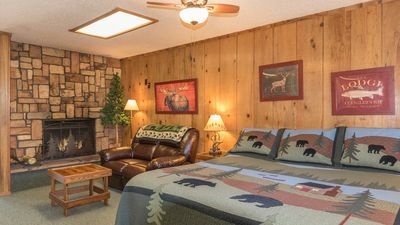 Wild Horse Lodge: 'Amazing interior and room for all!' With hot tub. 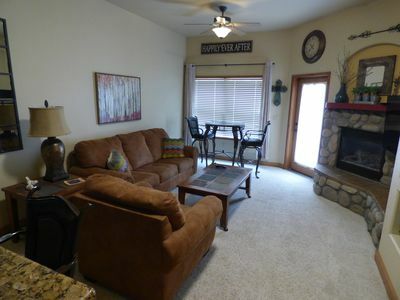 3 Bears Cottage: Adorable 2 Bedroom in the Historic Upper Canyon! 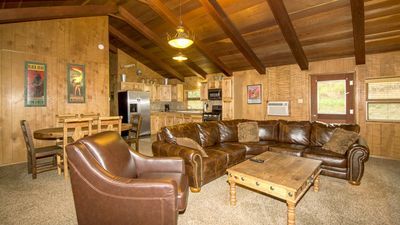 River Retreat at the Ruidoso River Resort!